Our Crepes and More – Biscotti and a Ph.D. Earlier in July, I went to Wilmington for the first time with my two best girlfriends. We’ve been friends since college, and I love these two so much. I’m really blessed to have them both in my life. None of us had been to Wilmington, so we were really looking forward to the trip. We booked a little apartment above the stores downtown through Airbnb. It was a convenient place to stay, but I didn’t sleep much the first night because of all the downtown/bar noise. Unfortunately, I wasn’t on my blog game and didn’t get very many pictures. But that doesn’t mean I can’t share my food suggestions! If you visit Wilmington, I suggest an evening stroll on the riverwalk. Circa 1922 – We had dinner here on Friday, and it was really good! All three of us ordered a hot small plate (spring rolls, pork croquette, and stuffed piquillo peppers), and I highly recommend all of them. For my entree, I had the duck confit, another winner, and for dessert I talked them into splitting the croissant bread pudding (<– get that right now). The Dixie Grill – We stopped here for breakfast before heading out to the beach, and all three of us were glad we did. I honestly don’t remember what the girls got because I was too focused on my sweet potato pancakes – I didn’t even care if I had pancake belly at the beach! The Pilot House – Later that evening we wanted something to nibble on and some refreshing drinks, and luckily Wilmington has several options that include a beautiful river view. The Pilot House has a fantastic patio right on the river, so we munched on some Brie and carpaccio, watched the boats go by, and had a perfect sunset. Food brings out the worst “I’m so excited about digging in” faces in me. 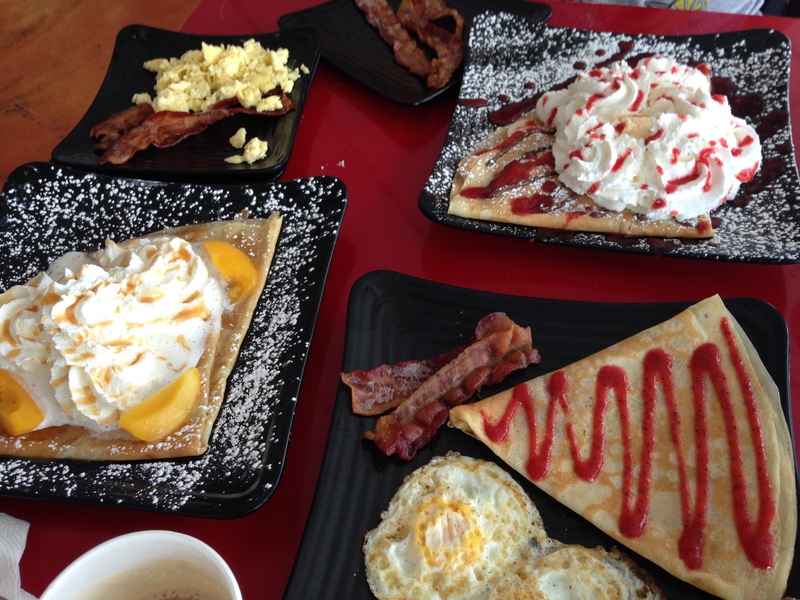 Our Crepes and More – Definitely two thumbs up! Like the name says, this restaurant focuses on crepes, both sweet and savory. 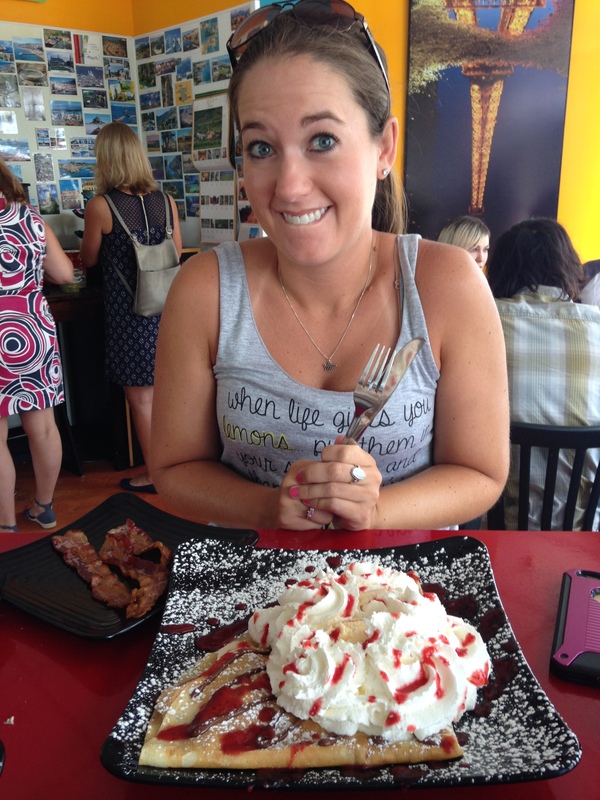 I chose the Versailles crepe (strawberries, bananas, Nutella, whipped cream, strawberry syrup, and ICE CREAM). 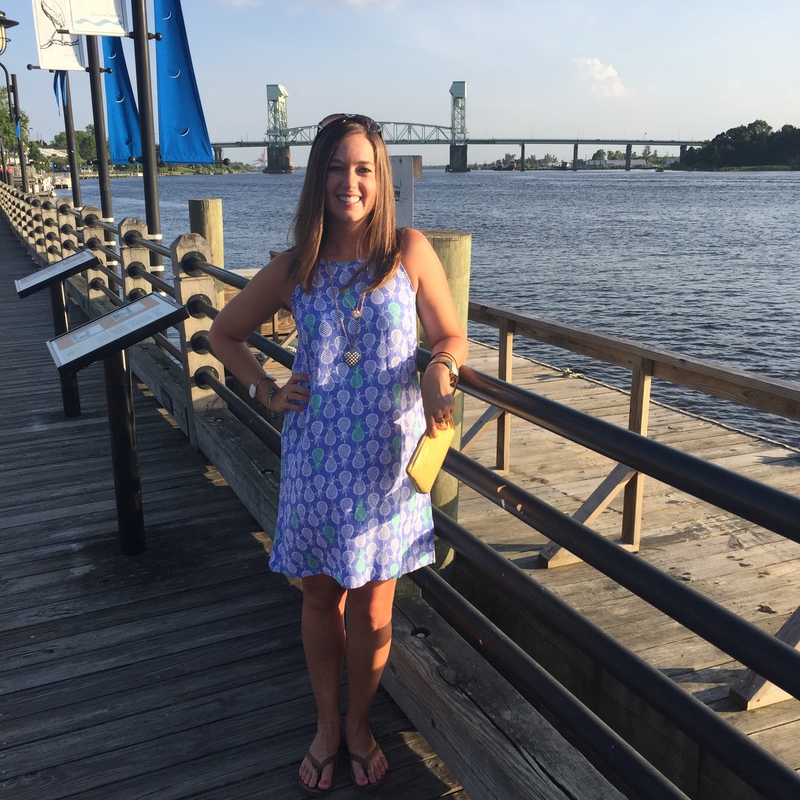 Add this place to your Wilmington list! What are some of your suggestions for my next visit to Wilmington? It’s less than a two hour drive from me, so I’ll be frequenting this fun place!